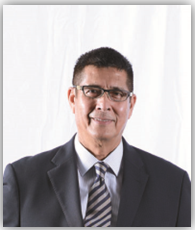 Tan Sri Datuk Hussin bin Haji Ismail was appointed to the Board of EPMB on 27 April 2015. Tan Sri holds a Diploma in Police Science from Universiti Kebangsaan Malaysia. Tan Sri Hussin is a former Deputy Inspector General of Police in Royal Malaysian Police (RMP). His excellent achievements are attributed to 39 years of working experience in various senior positions in RMP. The exposure of managing at various levels in RMP are added values to extensive policing knowledge and skills which have further enhanced personal capabilities and credibility in managing the force in the higher position. Tan Sri Hussin is also the Chairman of Police Cooperative Society Bhd since 2016. Tan Sri Hussin also sits on the board of JAKS Resources Berhad and Rohas Tecnic Berhad. Tan Sri Hussin is also a member of the Audit Committee, Nomination Committee and Remuneration Committee.